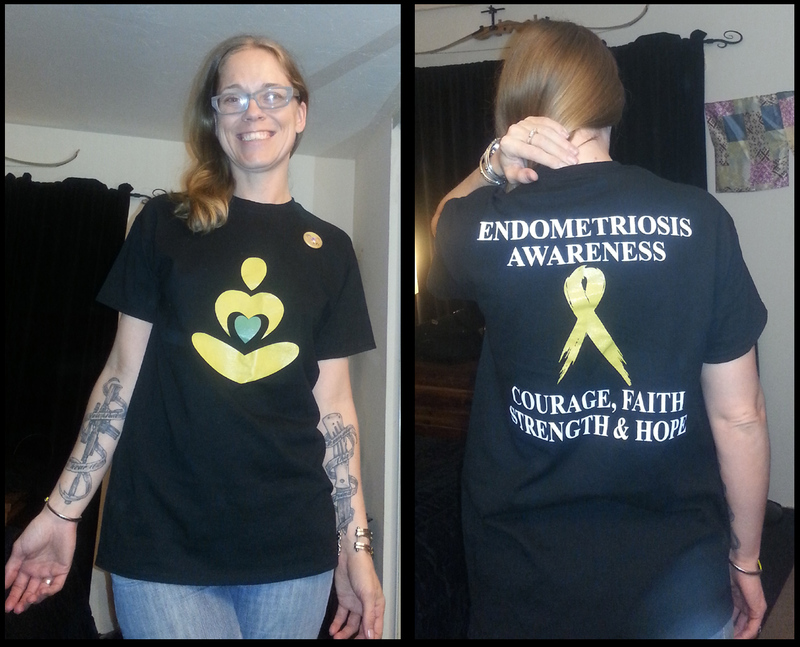 My fellow EndoSister, Lauren Siciliano, designed and created these t-shirts. Not only are they beautiful(!! 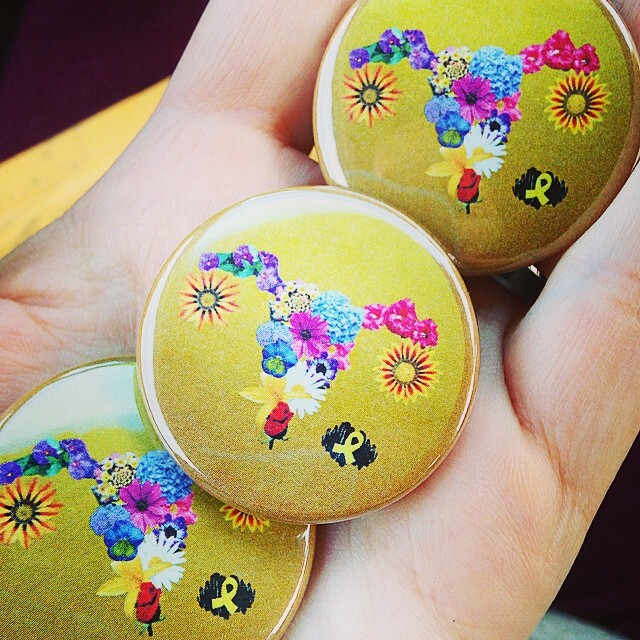 ), but they raise Endometriosis Awareness, and all proceeds are donated to the Endometriosis Research Center! Each shirt costs only $18.00, plus $5.75 if you need it shipped! Want one of your very own? You can write Lauren at laurensicily@yahoo.com to discuss sizing and sleeve options, and to receive a PayPal invoice. I LOVE IT! If you’d like, you can also join her support group on Facebook here. FYI, the little round yellow thing you see near my left shoulder is NOT part of the shirt design. That’s my Bloomin’ Uterus button, which also raises awareness and funds! 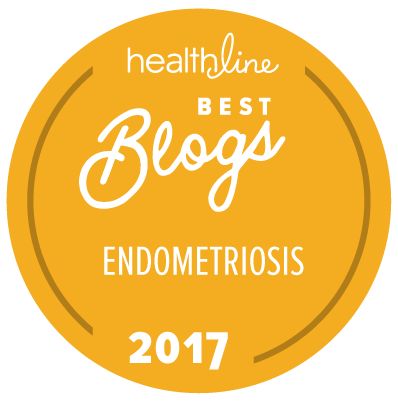 All the money goes straight to the Endometriosis Foundation of America. Interested? You can donate and secure your own button here. < Cheap ways you can help! I love this!!! It really stikes me because following my second surgery I had “faith strength and hope” tattooed on me. 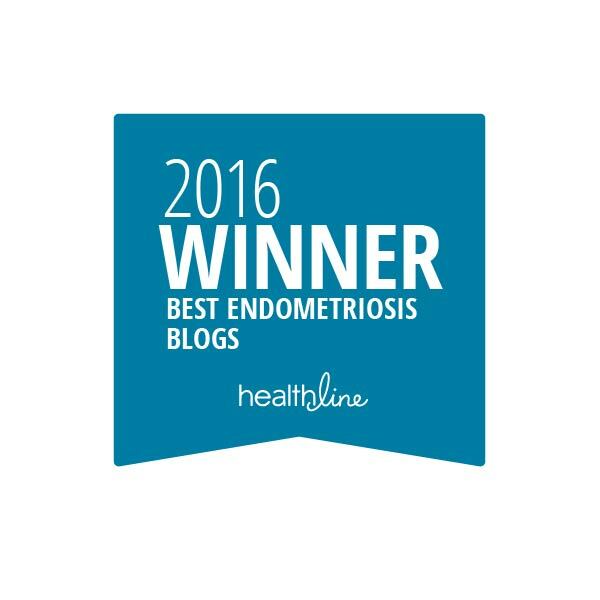 Love this community of endo sisters!